One word: FANTASTIC! Indy delivered... Had to get the Tennant brown suit before the next convention, and it arrived two weeks early! Supurb workmanship, quality materials, bang-on to what the Doctor wore. 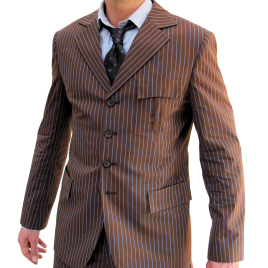 Not only a great costume piece, but a suit I can wear pretty much all year round.